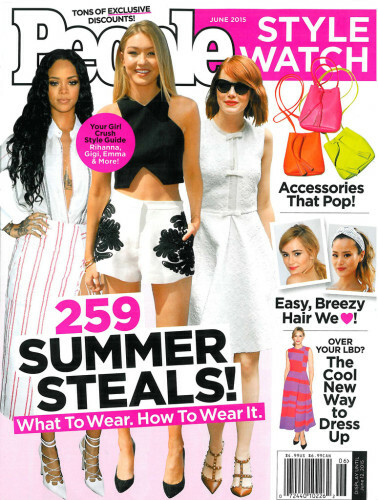 Check out the article in People StyleWatch, “How to Bronze Your Bod!” People interviewed Katie Quinn to get her top tanning tips for self-tanning, bronzing, and everything faux glows. Grab a copy today, and if you’re looking for more of Katie’s tanning tips, check out her other published tips, and be sure to watch her free “tanning hacks” videos! * Katie’s expert tanning tips have been featured in such mega magazines as VOGUE, Women’s Health, Harper’s Bazaar, Lucky, Shape, and Cosmopolitan. She has worked with Victoria’s Secret supermodels Alessandra Ambrosio, Adriana Lima, Doutzen Kroes, Miranda Kerr, Behati Prinsloo, Candice Swanepoel, Lily Aldridge and Barbara Palvin.